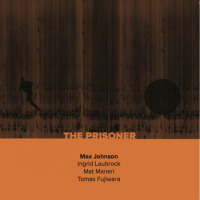 Double bassist Max Johnson's new suite The Prisoner is inspired by the futuristic British cult TV series from the end of the sixties by the same name. 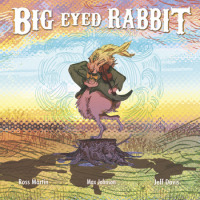 This series was a source of inspiration for many artists, among them The Clash, Iron Maiden, and avant-garde sound artist David Shea. New York-based Johnson assembled a quartet of like-minded improviserstenor saxophonist Ingrid Laubrock, viola player Mat Maneri, and drummer Tomas Fujiwara, all in powerful performancesfor an updated sonic meditation on the themes of the series. The seven pieces refer to characters in the series, all called by numbers, and situations from the series episodes. The chamber, melancholic spirit of the music and its loose interplay charge it with the claustrophobic, mysterious feeling of the original series. Though the pieces are composed and Johnson stressed a thematic progression, there is a lot of freedom for each musician to push its own course. This kind of openness colors the music in conflictual dynamics, emphasizes the tension and the stress of being monitored by an enveloping surveillance and the loneliness among the conforming population of the isolated village-prison portrayed in the original series. "No.24 Hammer into Anvil" is one of the best realized pieces. It refers to one of the most violent episodes and alternates between spare, threatening free-form texture where all are busy shaping their own loosely connected sounds and nervous, brutal sonic attacks. All forms and each musician with their distinct voices mirror and intensify the emotional uncertainty and troubled atmosphere of the episode. Other pieces as "The New Number 2," and as the series itself, offer an unsettling, enigmatic emotional impact. This open- ended piece leaves the listener contemplating about its mixed messages. Arresting, multi-layered suite that demands repeated listening. Track Listing: No.6 Arrival / No.58 Orange Alert; X04; No.12 Schitzoid Man (Gemini); No.24 Hammer into Anvil; No.48 Living in Harmony; The New Number 2; No.2 Once Upon a Time / No.1 Fallout. 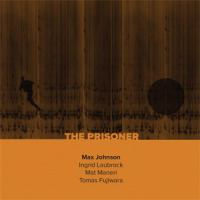 Personnel: Ingrid Laubrock: tenor sax; Mat Maneri: viola; Max Johnson: double bass; Tomas Fujiwara: drums.